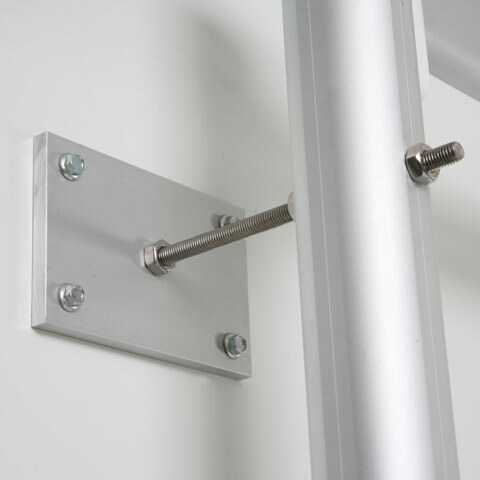 Adaptable wall-or ceiling-mounted, fixed or sliding solutions. 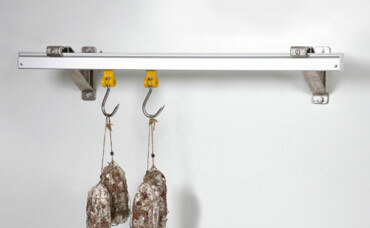 The IM 09 system hooked bars make an ideal solution for fitting out and adding the finishing touch to butcher’s shops, delicatessens and supermarkets. 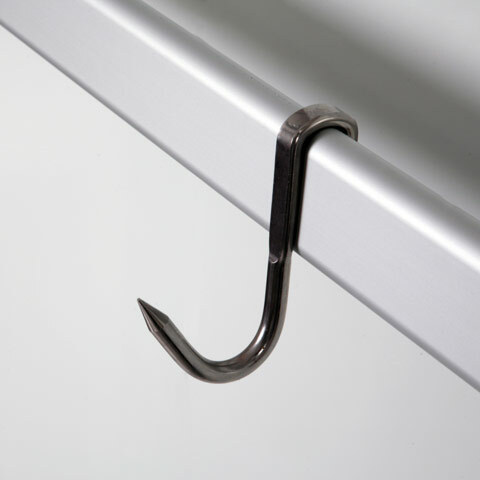 Made with anodized aluminium alloy profiles in various sizes for different load capacities, the range includes sliding or fixed hooks made from stainless steel and non-toxic plastic. 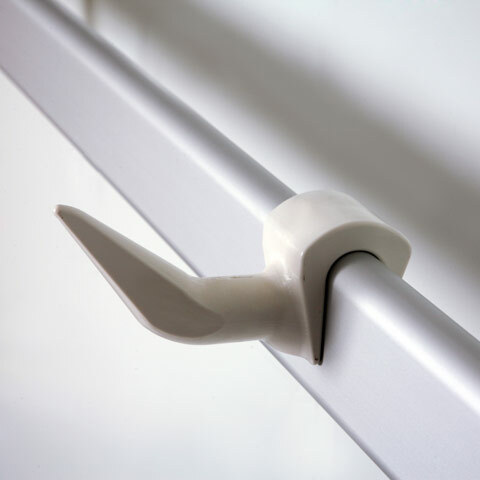 The various bracket options also mean the hooked bars can be installed on a wall or ceiling and can be fixed or sliding to suit the specific requirements. Made entirely from anodized aluminium alloy and non-toxic plastics, they are guaranteed to offer lasting stability against corrosion by water and moisture. 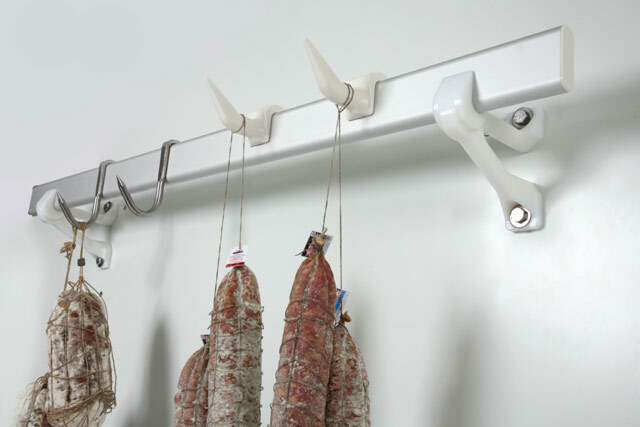 The system boasts impressive versatility meaning different compositions can be put together at will to fit out butcher’s shops, delicatessens and supermarkets in various sizes for different. 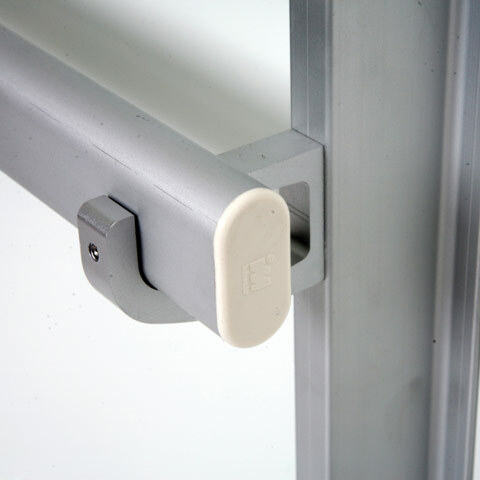 The extreme simplicity of assembly achieved thanks to the slot-together systems means assembly is straightforward and fast and can be performed without the aid of special tools.